In July 2016, Niantic launched an augmented reality game called Pokemon Go which drove their fans crazy. It carried forward the Pokemon franchise and was suitable for both Android and iOS devices. The provider of this game was Niantic, in collaboration with Nintendo. Within six months of launch, the app had been downloaded more than 500 million times and zoomed to the top of the list of top revenue earners in 2016. The premise of this game was simple but was linked to real locations, which made it so irresistible. That is why Pokemon Go Plus is here to overcome the issue. The unique feature of this game was that it could be played on a mobile device only when it was aligned with the global positioning software (GPS) of that device. The target of the player is to go out and locate the virtual creatures called Pokemon. These creatures had to be located using the GPS, and then overpowered and captured. In spite of its immense popularity, it did get some bad press because it also led to some terrible accidents and generally made the players make a mighty nuisance of themselves. Some players were hooked on to the game but they were too lazy to go out and look for the Pokemon Go characters. For them, there came a very convenient, the Pokemon Go Plus or Pokemon Go ++ from Emus4U. They made available a new version of the popular game which was suitable for use on iOS devices. From their app installer, players can download a large number of modified games and game simulators just like this modified version of Pokemon Go. Let us take a quick look at some of the features of this offering from Emus4U which make their version of Pokemon Go so attractive. There are no changes to the standard features of the Pokemon Go ++ game. The one big difference between this game and the Niantic original is that for the Emus4U version you do not actually need to leave home and go out in search of Pokemon Go ++. In the original game, this was one of the causes for a lot of heartburn because people used to walk or run about with their faces buried in their phones and met with lots of accidents. This possibility is completely ruled out with the Emus4U version. The game points out the monsters with the most value when they appear in a group, so you can go for the most valuable one. You do not need to pay any charges when you have to download this app. 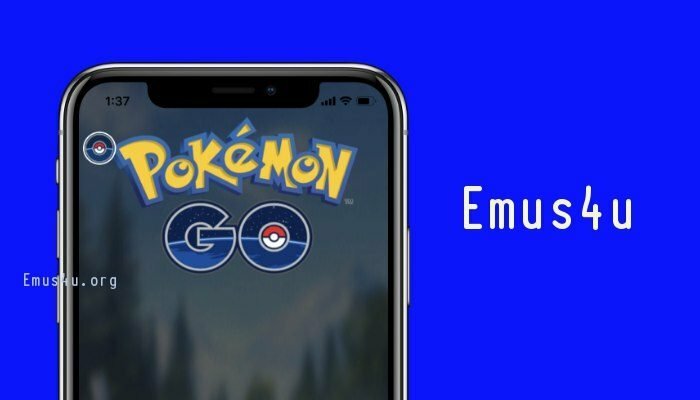 Before you can download this fun version of Pokemon Go ++ and start to play it, you need to download Emus4U on your mobile phone, which will install its icon on your phone’s home page. Inside this app, you will find the icon for Pokemon Go, or you can also search for this name in the search box. If you have loved the original Pokemon Go game, then you must download the Emus4U app and give it a try for sure. Follow us on Facebook to get notified with more apps. Leave your comments below to make this content more helpful to the users and connect with us on Facebook.